I tend to be kind of casual when naming characters. The first name that pops in my head when I get to a character tends to be the one I use. Amy in Across the Universe was named that because I picked up a baby book and started with the "A" names for girls. Very rarely are there any deeper meaning to the names of the characters. An exception to this would be Phoebe in A World Without You--she&apos;s named after Holden&apos;s sister in A Catcher in the Rye, a work that influenced my book. Either way, I hardly ever change a name once I type it into my manuscript. 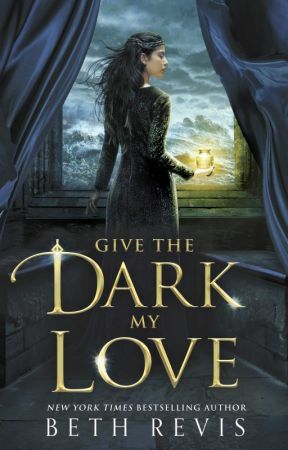 But when it came time to come up with names for Give the Dark my Love, I cycled through a few different names for characters before I got the right one. Nedra: Nedra started off as "Marley"--a name that I sort of liked, but that also didn&apos;t quite fit? I wrote nearly half the first draft with this as Nedra&apos;s name. But it never really fit...and then I realized that "Marley" is very close to "Harley" from Across the Universe. 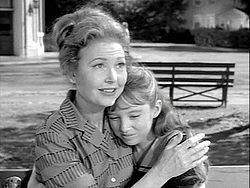 I knew this name needed to go, but it wasn&apos;t until I watched an old Twilight Zone episode that had a character named Nedra that I found the right name. Grey: Grey started off with a handful of names, including Allyn and Alric, neither of which felt right. I ended up picking his second name first--Astor--named for one fo the rich families on board the Titanic. I didn&apos;t want an alliterative name, though, so I shifted to Greggori, which I shortened to Grey, because (a) nicknames are fun, and (b) gray is my favorite color. 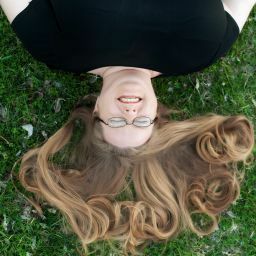 Ernesta: Nedra&apos;s twin wasn&apos;t actually in the original draft of the book, but by the time I added her, I knew I wanted to give her a similarly old-fashioned name based on a more common male name. My aunt&apos;s name was Ernestina, so I used a variation of that for Nedra&apos;s sister. Governor Adelaide: Originally, this character wasn&apos;t the governor--in part because there was nothing political about the first draft. It took the election and Hamilton to make me add the revolutionary subplot. So in the first draft, Governor Adelaide was Lady Elina Bluthe, the headmistress of the school. When I changed the plot, I had to change the character, and when she became such a different person, I didn&apos;t feel right keeping her same name. Bennum Wellebourne: This is the only name that was the same from start to finish in every draft. "Yūgen (幽玄) is an important concept in traditional Japanese aesthetics. ... Yūgen is said to mean &apos;a profound, mysterious sense of the beauty of the universe ... and the sad beauty of human suffering&apos;."